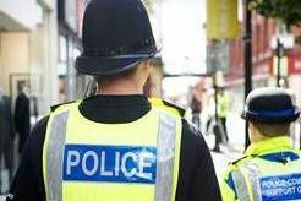 A St Annes teenager tried to intervene when police tried to arrest a fellow student at the Blackpool and Fylde College. Matthew Poole was abusive towards officers at the college’s Park Road,Blackpool campus. The female involved was arrested for assaulting the police and Poole, 18, of Barton Road was arrested for threatening behaviour. Alison Quanbrough, prosecuting, said that police arrested Poole when he became aggressive and looked as if he wanted to start a fight. Hugh Pond, defending, said his client had a troubled upbringing and had been looked after by his grandparents.